I am thrilled that you were able to find in this “out-of-your-comfort zone” activity, immediately ways how to potentially stretch traditional ways (summarize, create, reflect, make thinking visible, etc.) for your learners in the classroom. 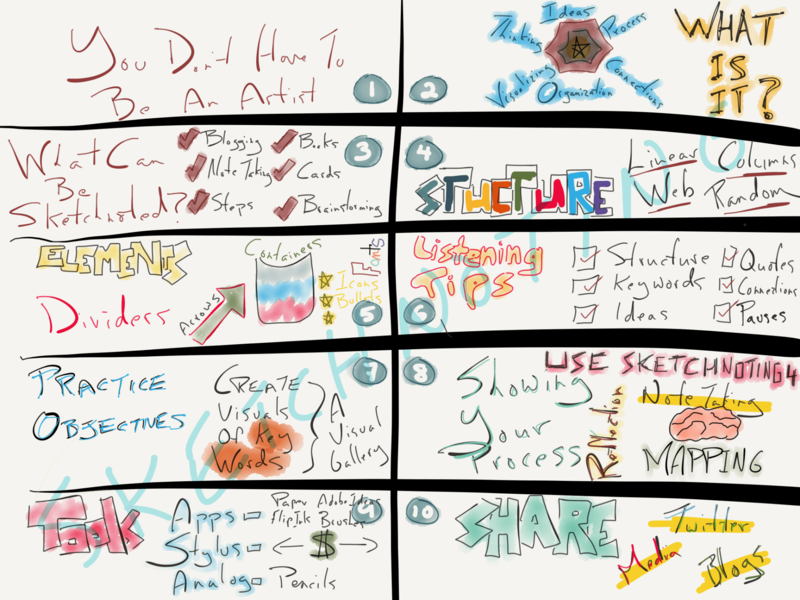 What do you think of having students do some research around sketchnoting in terms of understanding their own “brain powers” and how all of this fits into the science of learning? 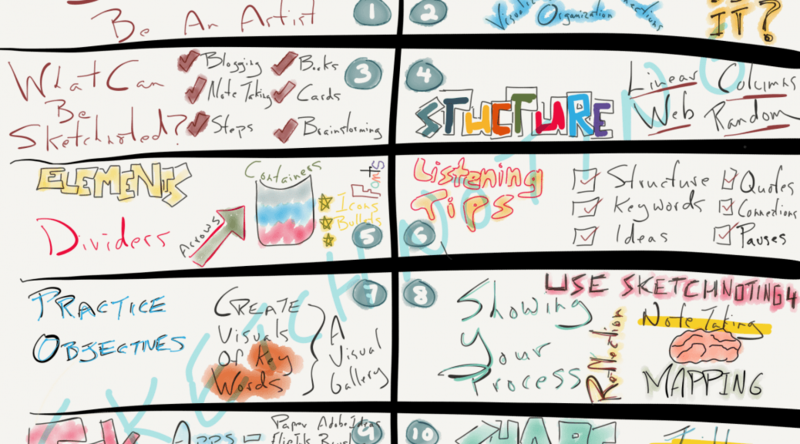 Have you had more time to think through applications of sketchnoting in your work? Can you think of times when this kind of note taking would be particularly effective in capturing Science artifacts?